If a student tries to leave the school during school hours, an alarm goes off. If a student leaves without their uniform an alarm also goes off, because naturally the schools have facial recognition as well. If a student doesn’t go to school, an alarm goes off and the parents are contacted. The uniform can also detect if a student falls asleep during class – which will also trigger an alarm. 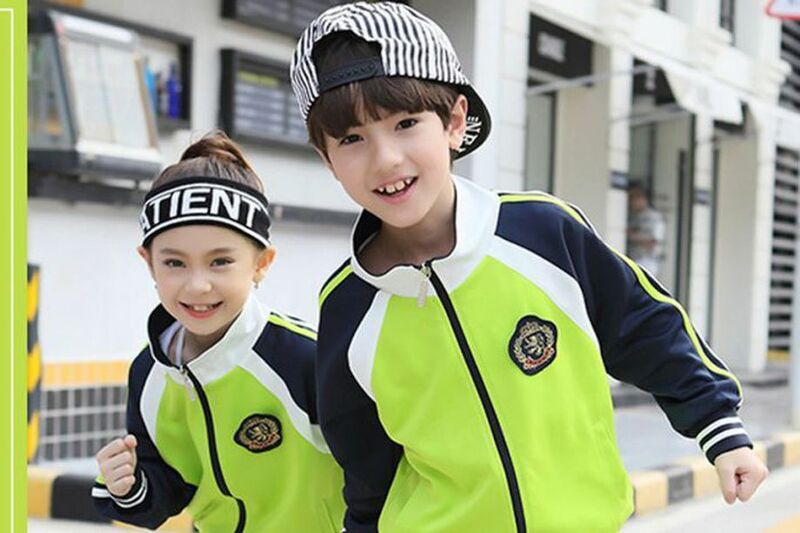 Needless to say, the school’s administrators and parents have constant access to the location data, but don’t worry, Principal of Renhuai Lin Zongwu said to the Global Times that “we choose not to check the accurate location of students after school.” Zongwu also says that attendance rates have risen dramatically since the uniform’s introduction. According to Yuan Bichay, product manager at the uniform’s manufacturer Guizhan Guangu Technology, each ‘smart jacket’ can be washed over 500 times and survive temperatures of up to 150C. They can also be used as a cashless payment system for purchases within school grounds, much like tap to pay. Parents and the school can see everything students buy, of course. On Weibo, China’s version of Twitter/Facebook, students and the public alike have been questioning the ethics of such devices. According to the Epoch Times, one user was asking if this was a violation of human rights, another wondered how long it would be until all clothing for students and adults alike started tracking location. Given that this is far from an isolated case of China deploying concerning technologies on its citizens, questions about the impact this could have on students, how many schools it will spread to, and what it might excuse in the future are important to consider. Seems unlikely in the current US administration. That would be more of an extreme left (socialist/communist/Bernie Sanders) administration. Anyways, some parents are already embedding microchips in their children in the US, a jacket isn't a far reach. Reehahs, loki1944, Sausagemeat and 5 others like this. Wow sounds more like a child prison than a school. captaincranky and JaredTheDragon like this. You completely missed his point. Wanting to track people has nothing to do with political orientation and it has everything to do with wanting control. You can't say "socialist/communist", those two are nowhere near being equal where you can pretend either or are the same thing. FYI Bernie sanders isn't communist. Communism is giving everyone equal pay, government control of the means of production and prices, and much more. Sanders does not have a single communist policy. I'd recommend you read up on the differences between the two systems. Clamyboy74 and Uncle Al like this. Here in the West it's the right wing that's generally behind the surveillance state (remember the expansion under the W. Bush administration) although it suits the agenda of the insiders of both major parties. Liberals and leftists are those most supportive of civil liberties so Bernie Sanders and those who agree with him are the least likely to approve of this. 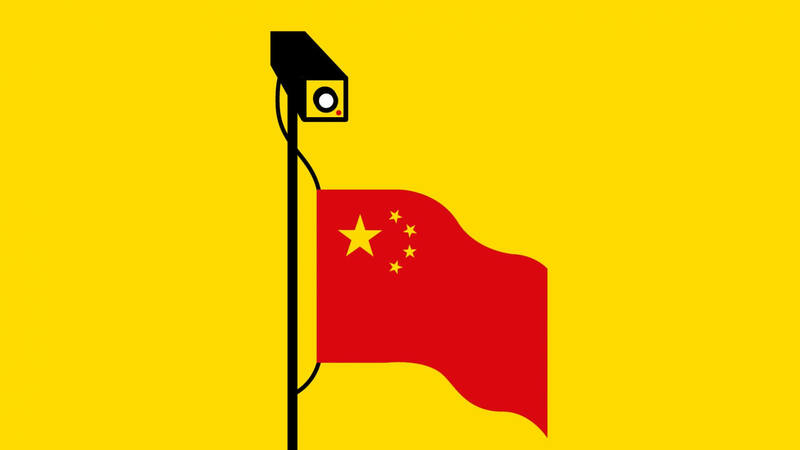 Surveillance of students in China appears to be more tolerated than it would be in the U.S. This probably has to do with fundamental differences in culture. Asia is more collectivist, the West more individualistic. This sounds really terrible. To whatever degree it might be conceivable in the U.S. would be owing to the emergence in the past few decades of helicopter parenting. Helicopter parenting, although being brought on by a kind of mass hysteria, was made more possible by the technology to be able to do it. I'm just rambling here. I find this very disturbing. I hope that China does not expand this and that it doesn't come to the U.S. Liberals only support civil liberties of other liberals. They would gladly put everyone they disagree with in a prison camp. Their most outspoken leaders and celebs say so all the time. Danny101, loki1944, Sausagemeat and 2 others like this. Much of this functionality is already here, it's called your smartphone, Android tracks you wherever you go, whatever you email, your contacts etc, but no one seems to be too upset. Danny101, Clamyboy74 and treetops like this. If you can produce even one example to back up this statement, I'll listen. Otherwise it's just empty rhetoric. We're talking about "civil liberties", which refers to opportunities and options for normal citizens to act without being hindered by oppressive laws or illegal restriction by authorities. People of all political persuasions call for those they don't like to be punished for indefensible crimes that actually were committed. If Hillary and Petraeus were treated like those in less powerful positions they would both be behind bars now. However one regards the actual intrinsic offensiveness of their crimes, to have these individuals treated differently from others makes a mockery of law itself. Then there are the war criminals. W. Bush waged a war of aggression under false pretenses, leading to the deaths of over 1,000,000 people. Yet he walks free. Schools in America are tracking students with smartphones, face recognition cameras and other biometrics. "We choose not to track the accurate location of students after hours"
roll it out MANDATORY on others. Oh, you can bet the deep state R's & D's in the USA would LOVE to have this, and as the unconstitutional groping of the TSA, will be rolled out under the false idea of "safety & security". Danny101, Clamyboy74 and Uncle Al like this. First off, I'm not surprised that you would think that civil liberties only apply to "normal citizens" since the ruling class exempts itself from most of the laws it foists upon the public. But those leftist hatemongers I refer to were calling for the imprisonment, deportation and in a few cases MURDER of regular citizens, not just politicians (advocating murder to a crowd or via mass media is always a crime, incidentally, and a not single one of the hatemongers has been charged yet). I could easily give you fifty examples but I'm not going to do the work for you. Besides, if I give you links you'll just say I'm cherry-picking the facts. Educate yourself the way I did. Here's some nice places to start: Michael Moore, Maxine Waters, The View. BTW, I have yet to see one example of a major Republican or conservative personality during the past forty years talk about locking up or murdering those they disagree with without due process. As for the invasion of Iraq, it was the liberals in congress who chatised Bush Sr's unwillingness to do exactly what his son did. Bush Sr. didn't do it because it wasn't part of the mission, and he knew that IF he did it he would just be called a warmonger...because that's politics. So he chose to NOT spend a bunch more money and probably waste more lives as well. While I never supported GWB's Iraq campaign they most certainly did have WMDs, some of which were moved to Syria and have since been used by both sides in the civil war. Oh, an about 30% of those million deaths you mention were Iraqi insurgents, I.e. legal combatants, and another 30% were killed BY those insurgents - and those are conservative estimates. That d oesn't mean that several hundred thousand civilians dead is excusable by any means but at least try to be honest with your facts. I assume you must be overjoyed that Trump is pulling us out of Obama's war of aggression in Syria. Ah yes, sorry for my ignorance, you're right, socialism and communism have never led to totalitarianism. loki1944, Sausagemeat and psycros like this. I guess that's why we keep hearing "real communism has never been tried." Socialism can work if there is a lot of oversight of both private citizens and government operations. The problem is that nobody wants to be spied on, particularly if their a beauracrat who is robbing the public treasury every chance they get. The more power you give the ruling class to reallocate wealth the more of that wealth they will reallocate to their own pockets. Socialism always leads to more government control, massive corruption and inefficiency - there has never been a single exception. Communism is socialism's vicious, ugly sibling and belongs on the ash heap of history alongside theocracy, totalitarianism and a number of other systems. It doesn't work because it runs 100% contrary to human nature. All communism does is make the plebs equally poor while the people at the top of the state and the black market live the high life. Aside from all the places it's currently working. But my overall point is you can have a totalitarian communist government or a totalitarian capitalist government. You can also have peaceful capitalist or communist government. My over all opinion is you need a balance of both capitalism and socialism to maintain a happy population. The Romans felt there should never be more than a 5:1 ratio between the richest and poorest man. However, I'd like to see what communism policies china has aside from most industries being state run. They use extra steps to create an illusion that their "free market" isn't state run, but you can't point to countries like that say, "look socialism!" These are complicated issues that have many good and bad examples throughout history. It flaunts ignorance to take a black and white view of these things. ....[ ]....Then there are the war criminals. D!ck Cheney waged a war of aggression under false pretenses, leading to the deaths of over 1,000,000 people. Yet he walks free. FIXED! "Wubba", was, is, and still is, an imbecile and Cheyney's puppet. In fact, they've made a movie about it. I don't know why these days everything seems a conspiracy. it is not necessarily being done for bad intent. Can you tell how it can harm a student by knowing it's location? Every 40 second somewhere in United states a child goes missing. same is with china. there are several kidnappings from schools around the world everyday. which can be solved with such a technology. Tell me how it differ from baby trackers in homes? On the other hand I think more than 90 percent people use smartphones. and they willingly give access not only the location but also to one's mic, camera, storage content and messages etc. Yet a location tracker in child/student's shirt is a conspiracy of china's govt. to keep eye on it's citizens? I believe, there is not even a single nation who do not tracks their citizens. it's good or bad that is another thing. But china is not alone. Well. I am also concerned about privacy a bit. But truth is, we have already given it up. we started giving it when tech revolution started. and we are giving up more and more day by day. we have smart devices in our pocket, homes which can listen to us any time. we have cameras in our pockets, homes and surroundings which can see us any time. it's not the Govts. who forcefully pushed us to give up. it is us who voluntarily gave it up. The US has become an abominable sh!thole, full of extraordinarily stupid, whiny, decadent imbeciles. Newton said, "for every action there is an equal and opposite reaction". Ironically what holds true in physics holds true in human behavior. The police make a few bad "stop and frisks", the ACLU steps in and gets the tactic declared "unconstitutional", and now every punk a** teenage crack dealer .walks around strapped with a 9 mil Glock. What difference does it make whether we know where our kids are or not, because even when we do, parenting has become so piss poor, that nothing will be done until one gets caught shooting another to death. The children get into trouble when they show up in school with their parent's bundle of heroin, or their pistols. The moral conscience to tell right from wrong no longer exists in the elders, how can you expect it to be present in their offspring? Yet, we sit back and judge other countries for their governmental oppression, while we lavish in our "civil liberties", in the meantime, being afraid to walk to the store after dark. Yet, tagging every child to know where they are and what they're doing, is a seminal pathway to totalitarianism. OTOH, it cuts down on delinquency, affords the opportunity of an education for all, without anywhere near as much fear of school shootings, but without the "freedom" we enjoy here in the US. Yes boyz and gurlz, the Chinese government is overstepping and depriving citizens of their right, in a wholesale manner. As you might have figured out, there is no right or wrong. Too much freedom is the proverbial having enough rope to hang yourself. Too little, and well, you're a prisoner in your own home. The overarching truth is, the insiders, whether they be Communists, Republicans, or Democrats, will always lust for more power and control and never adhere to the "rule of law" they create for others. As Lord Acton said many, many years ago, "power corrupts, and absolute power corrupts absolutely". Wow so the Chinese are happy that their “communist” regime know what’s best for them and will allow big brother to dictate their activities. I’m glad that no government would not get away with this **** in the west. I actually visited China very recently and was shocked at the levels of oppression that go on. It’s not a hell hole at all but I’d pick America to live in over China every single day of the week. I’m genuinely curious who wouldn’t! I’m from the UK and we actually had a government threatening mandatory ID cards about 8 years ago. Fortunately these clowns lost the next election they faced. BTW, I have yet to see one example of a major Republican or conservative personality during the past forty years talk about locking up or murdering those they disagree with without due process. Your statement is either willfully or woefully ignorant. The president of the United ****ing States of America has been chanting "Lock her up!" along with his entire party for 3 years now, with no evidence submitted to any court to back it up. Your opinions are plainly one-sided just like almost everyone else's.